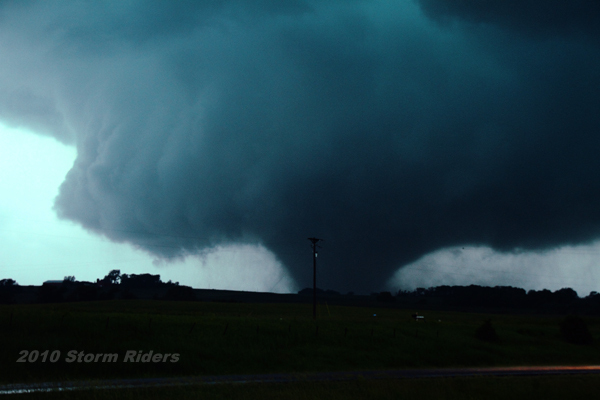 It’s early May and 2014 has already rivaled 2013 in terms of below average number of tornadoes. 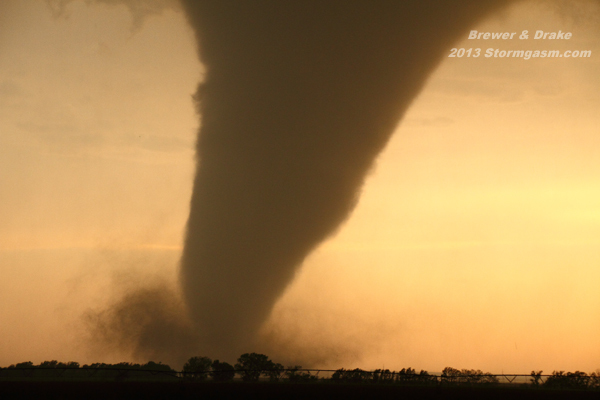 Tornado outbreaks on April 27, 28, and 29 pushed the annual preliminary tornado count above 2013 up to the date of May 2nd. The large-scale pattern appears to be favorable for at least the next week or two for more severe weather events over the United States. 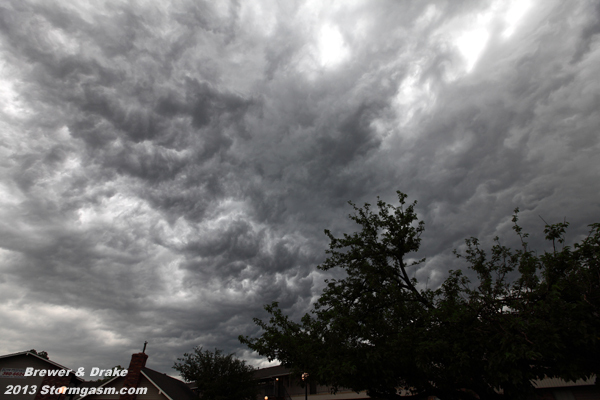 The forecast for a pattern conducive for severe weather becomes much more difficult as May progresses. A significant ridge is likely to build and dominate the Western U.S. by late May and June. Once in place this pattern will be difficult to change, but can be temporarily broken by MJO waves, similar to June of 2009. 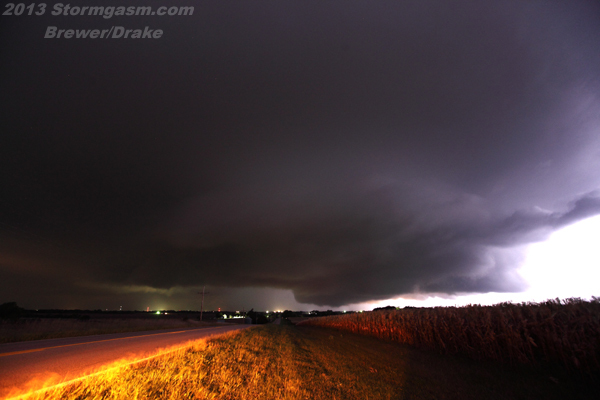 Late evening on October 3, 2013 Juston Drake and I documented a tornado near Panama, NE. 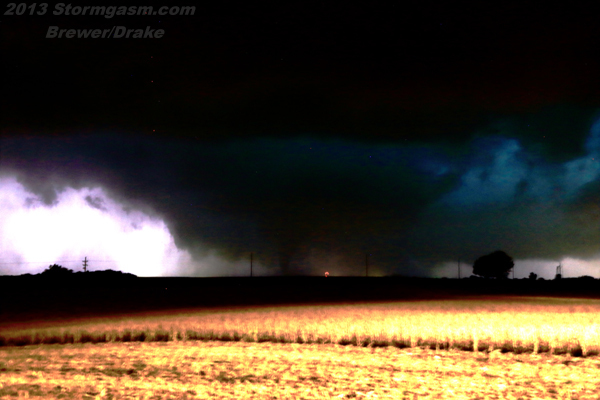 The Omaha/Lincoln NWS Office later determined the tornado had a 16.5 mile long path with EF2 damage, and a maximum width of 300 yards. 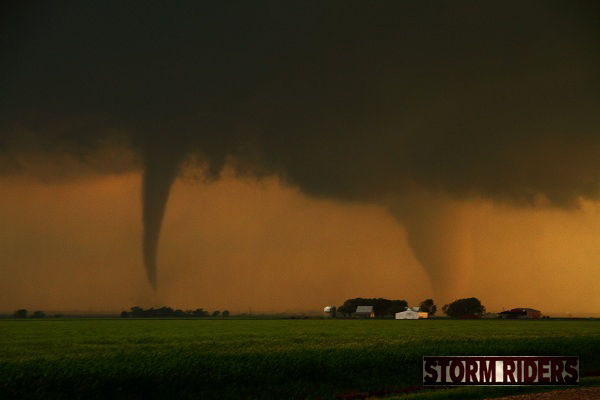 The tornado affected several farms, but fortunately missed several towns passing north of Panama, south of Bennet, and west of Palmyra. 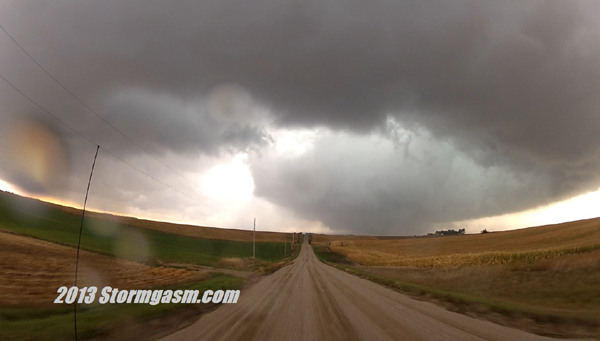 Our initial target was Northeast Nebraska and Northwest Iowa. 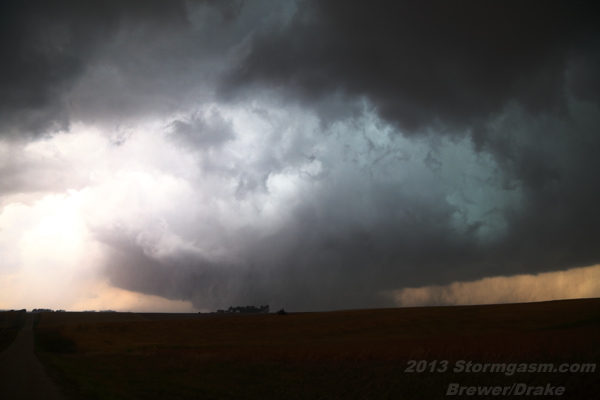 A very intense trough/mid-level closed low was progressing over the Northern Plains. This trough would provide significant upper-level lift for the formation of vigorous updrafts, cold mid-level air for enhanced instability, and deep-layer shear for powerful supercell storms over the Central Great Plains. 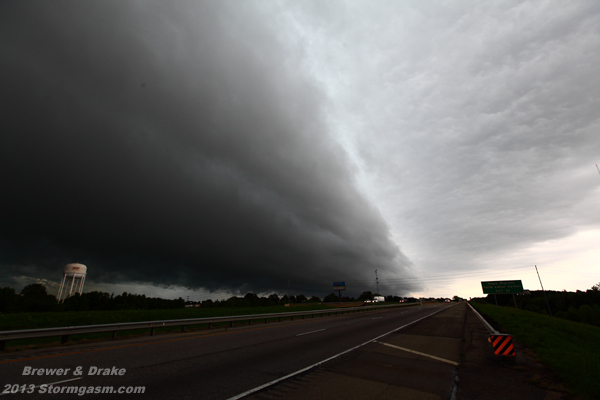 Deep tropical moisture over Kansas and Missouri, which helped fuel storms the previous night, was advecting northward into the area. 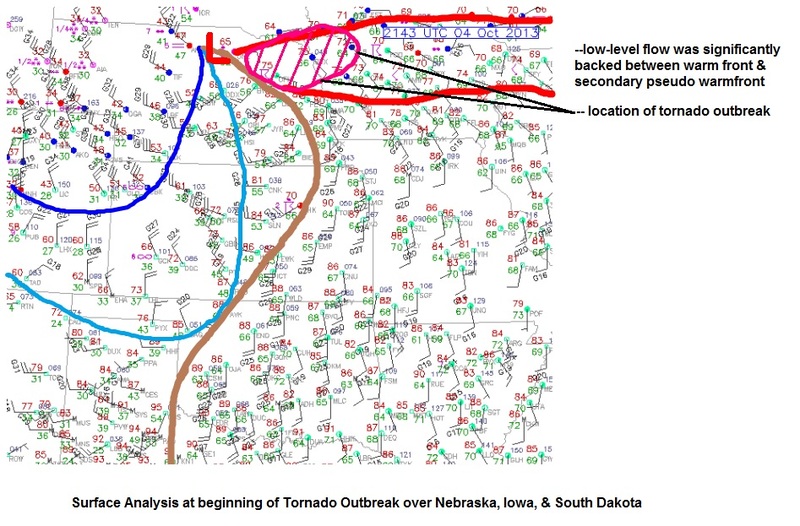 At the surface a primary warm front was retreating over northern Nebraska and Iowa, a pseudo warm front/deep moisture boundary was retreating north of the I-80 corridor. 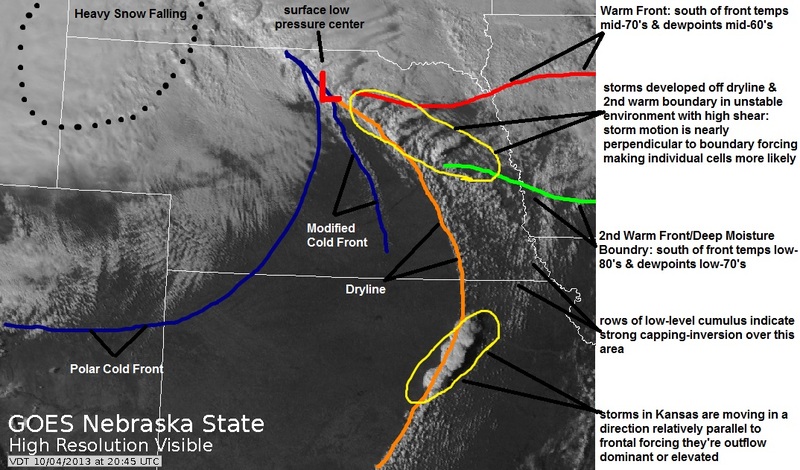 A modified Pacific cold front/dryline boundary was progressing over the Eastern Plains with a noticeable bulge southwest of Omaha. Storms north of the bulge would be more likely to be isolated with a storm motion nearly perpendicular to the dryline boundary. Storms south of the bulge were more likely to be outflow dominant/elevated with a path nearly parallel to the boundary. 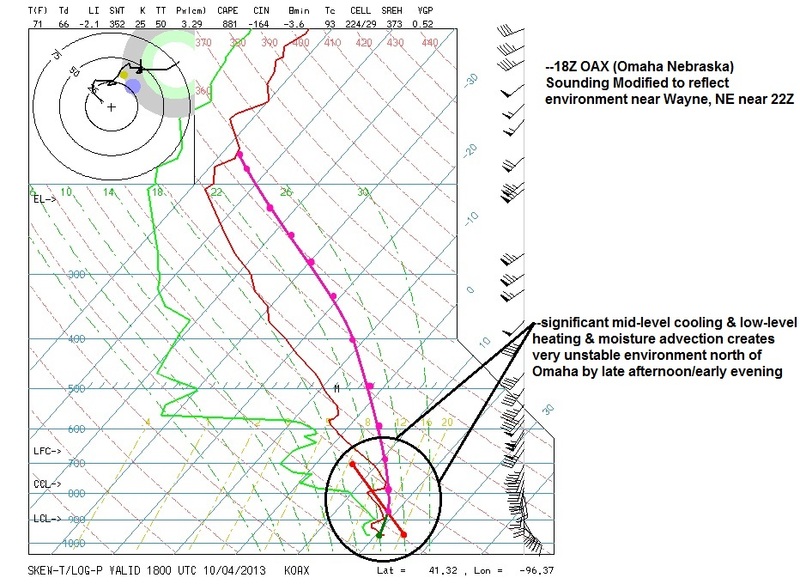 A relatively warm layer of air near 800mb was overriding the warm sector from the Southwest providing a strong, but breakable capping inversion. 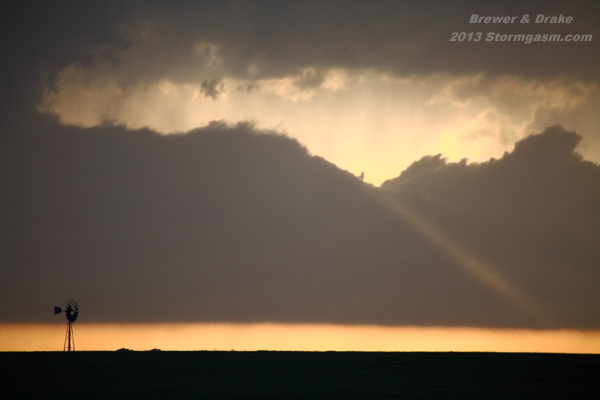 This CAP held off widespread convection throughout most of the day over the warm sector. Also, a widespread upper-level clear slot moved over the Central Plains maximizing daytime surface heating. 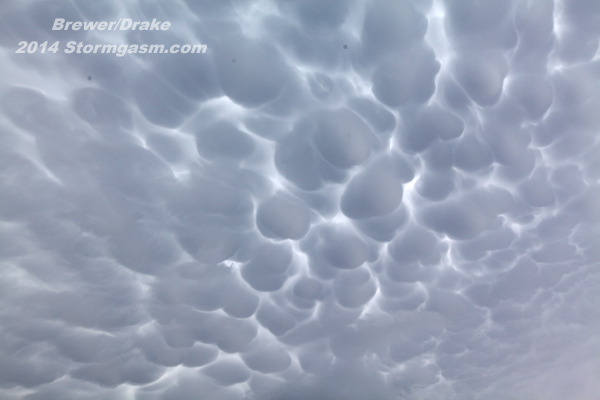 Instability dramatically increased over Northeast Nebraska and Northwest Iowa as the day progressed. 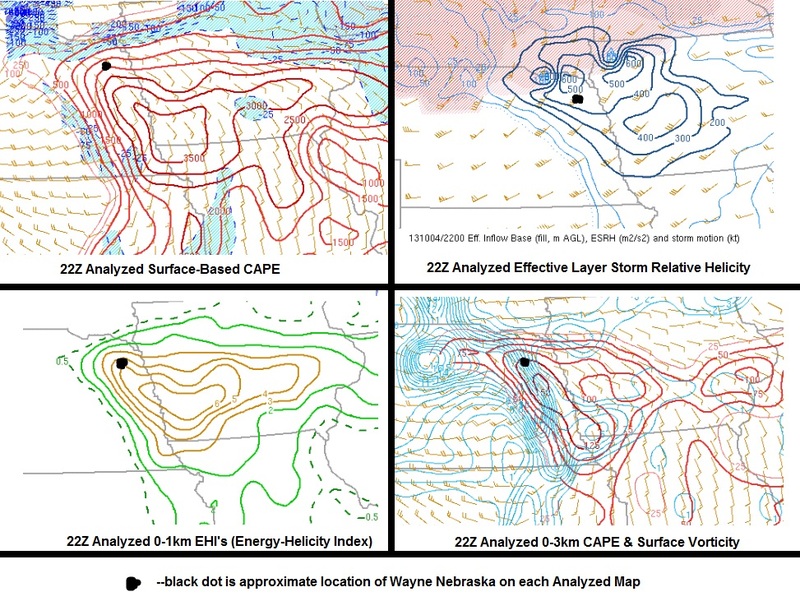 Between 1000-3500 J/kg of surface-based CAPE was developing in the region–the actual amount of CAPE can only be estimated, because mid-level temperatures were cooling very rapidly from cold air advection and significant upper-level lift. 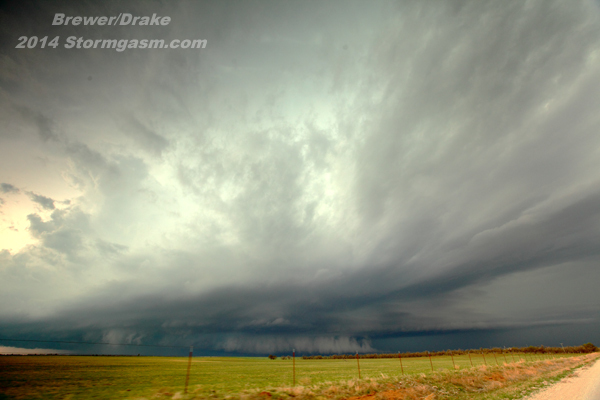 The deep layer wind shear north of the dryline bulge was incredible and the low-level shear was nothing short of amazing. 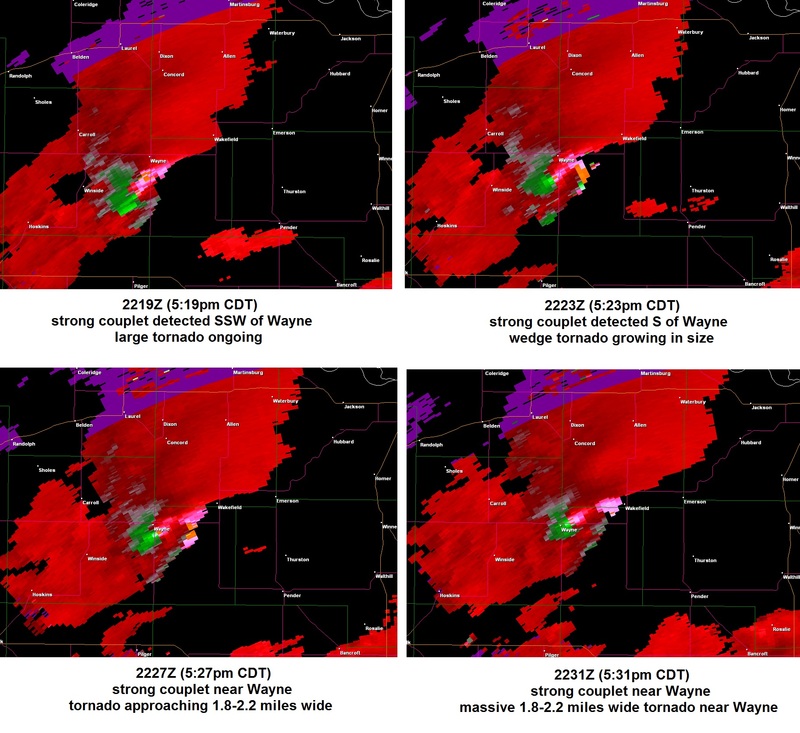 0-1km, 0-3km, and effective layer storm-relative helicity values were between 200 and 600 m2/s2. 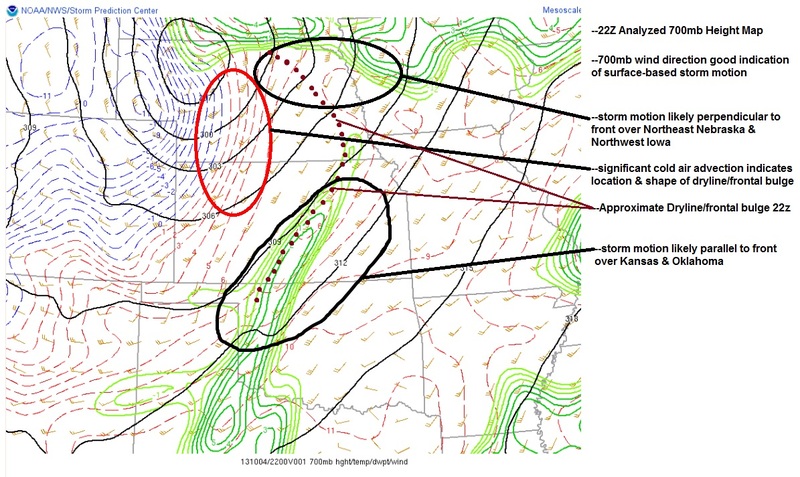 The surface low was located near O’Neill, NE and not just one, but two warm front boundaries were in the area of interest–it shouldn’t be a surprise relatively high surface vorticity values were being analyzed. 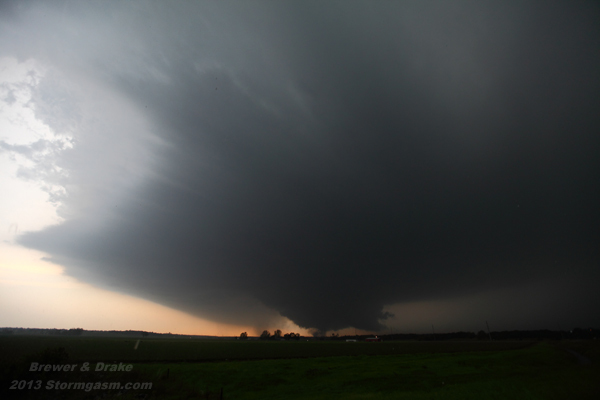 The combination of high shear and instability over northeastern Nebraska and northwestern Iowa was similar to any high end tornado environment. The effective layer EHI’s (Energy-Helicity Index) values ranged from 3 to possibly as high as 13 (most likely near 8 or 9) over the region when the event was unfolding. 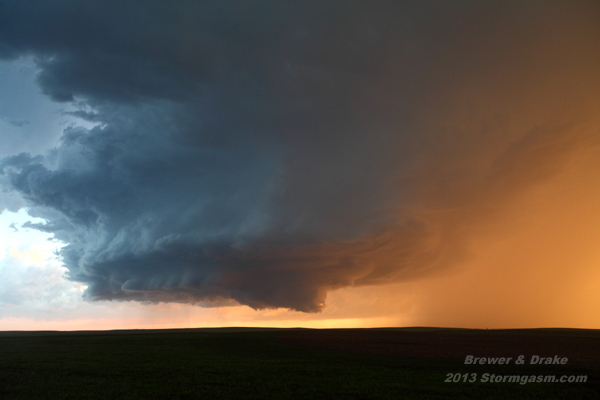 Juston and I were northwest of Freemont, NE when storms began developing to our West and Southwest along the dryline. We decided to intercept a small cluster of developing updrafts near Columbus–they were moving into an environment conducive for strong tornadoes. Updrafts to the southeast were struggling, which kept the low-level flow going into our developing storm virtually untapped. 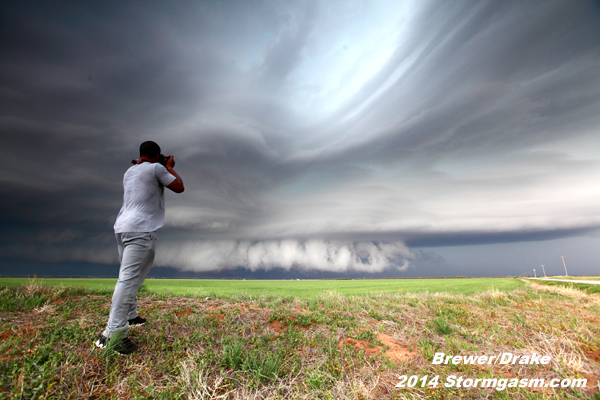 We intercepted the now strengthening storm south of Stanton. 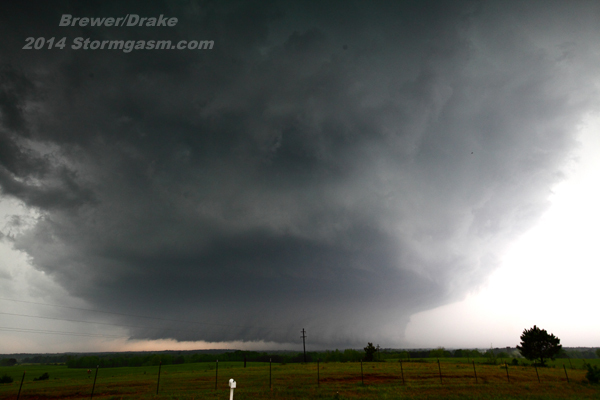 We could see the updraft base was rather elongated. 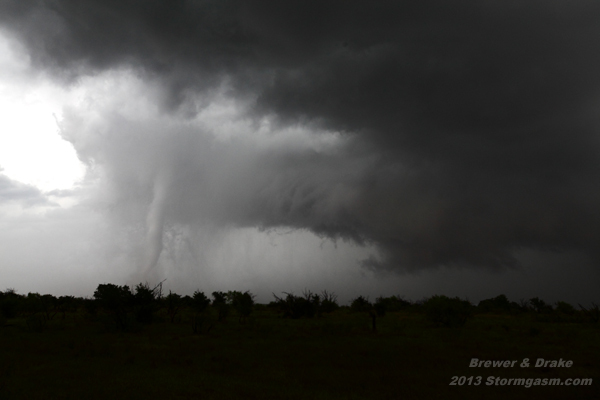 A second updraft base was to its south; soon we witnessed a long and slender rope landspout tornado develop under this southern base as we sat waiting for a pilot vehicle in construction south of Stanton (why does it seem construction crews are so active during major severe weather events?). 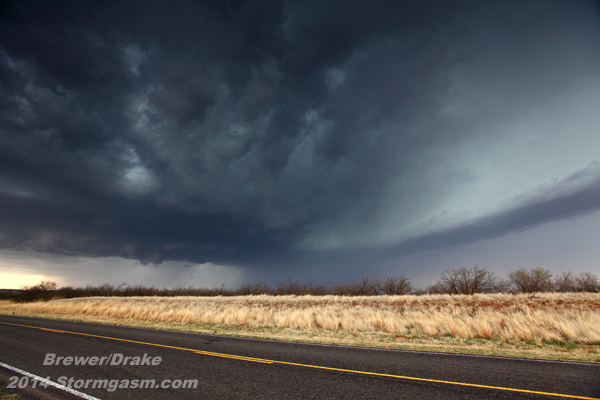 The tornado dissipated and we continued north on sandy roads out of town as the two updrafts began the sloppy process of merging. 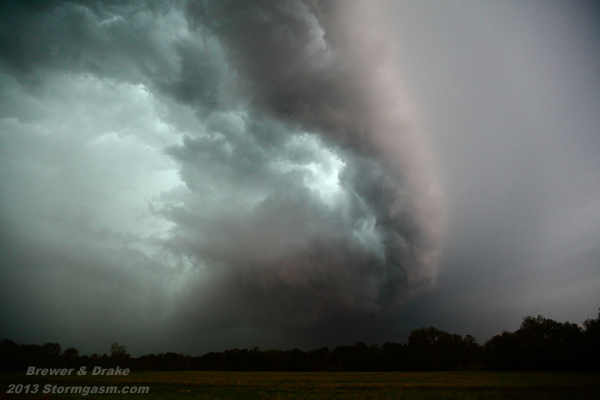 About 12 miles southwest of Wayne the supercell quickly organized–developing inflow bands, a large base, and a huge RFD clear slot. 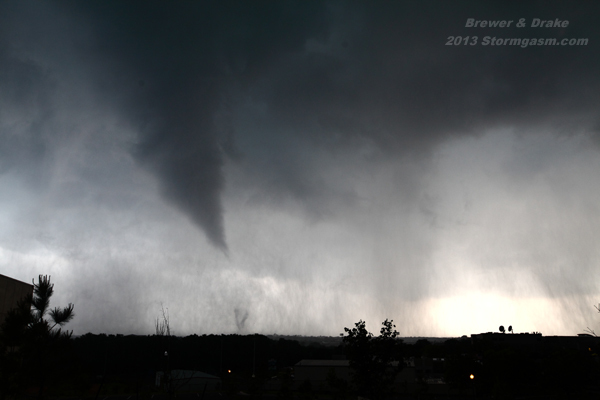 Soon a large bowl funnel appeared to our WNW, and in less than a minute we could see condensation vorticies touching down under the massive funnel cloud. 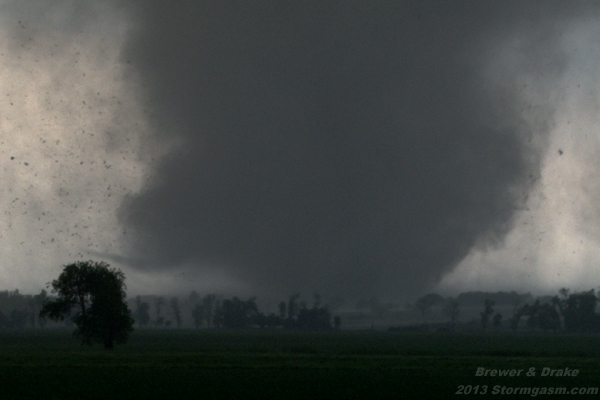 Only moments later the tornado took on a wedge appearance. 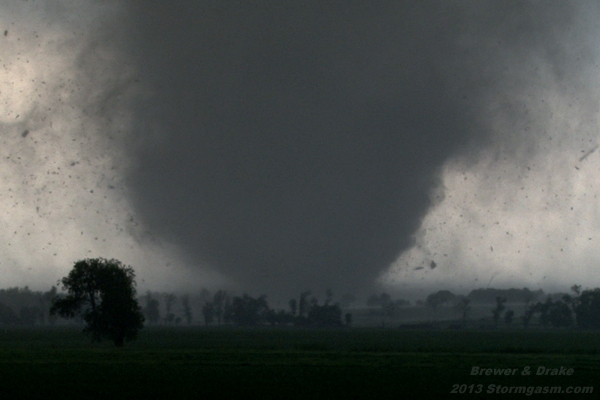 The rotating debris cloud near the surface was nearly twice the size of the visible condensation of the wedge tornado indicating a much larger and more significant tornado vortex. 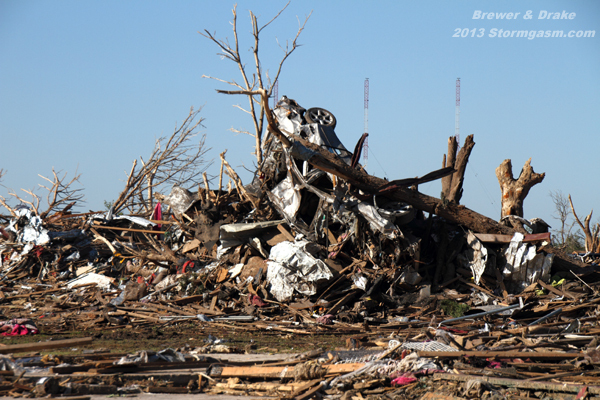 The scene forced us to immediately recall relatively fresh memories from the developing stages of the massive 2.6 mile wide El Reno tornado earlier this year. 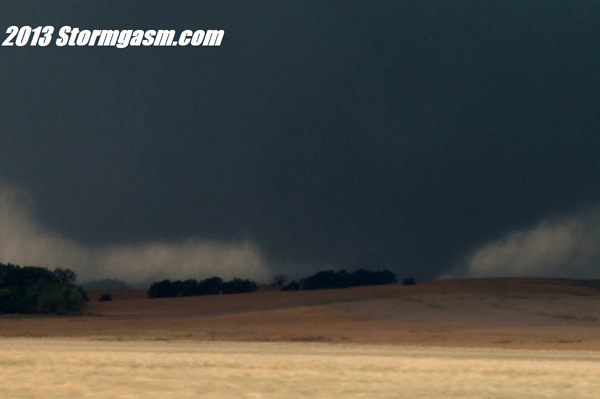 The base was gargantuan, the debris cloud was huge, and what would typically be a large wedge-shaped condensation funnel in contact with the ground appeared small. 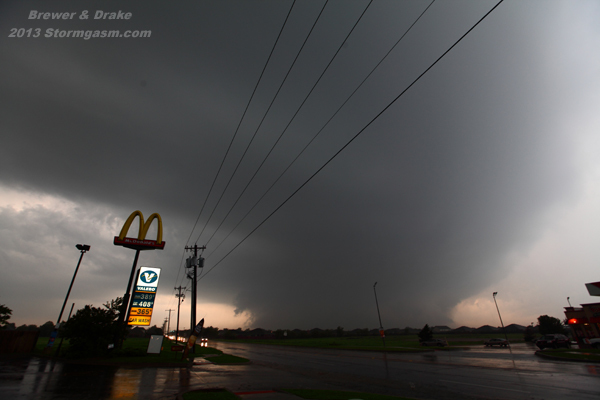 We repositioned southeast of Wayne as the tornado rapidly grew giving it a little more room during its intensification process. 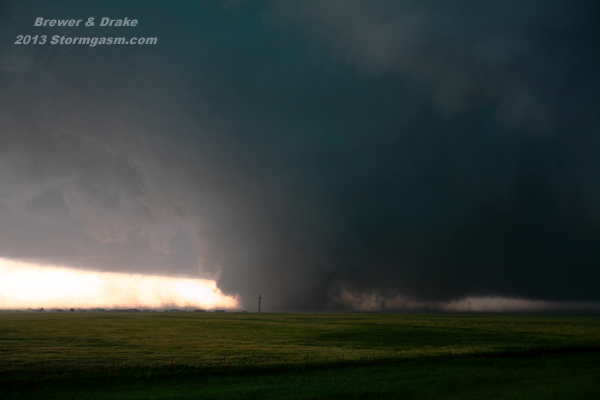 The tornado briefly became wrapped in rain and we were soon floored by the spectacle before us–a monstrous megawedge tornado dominating the western horizon. 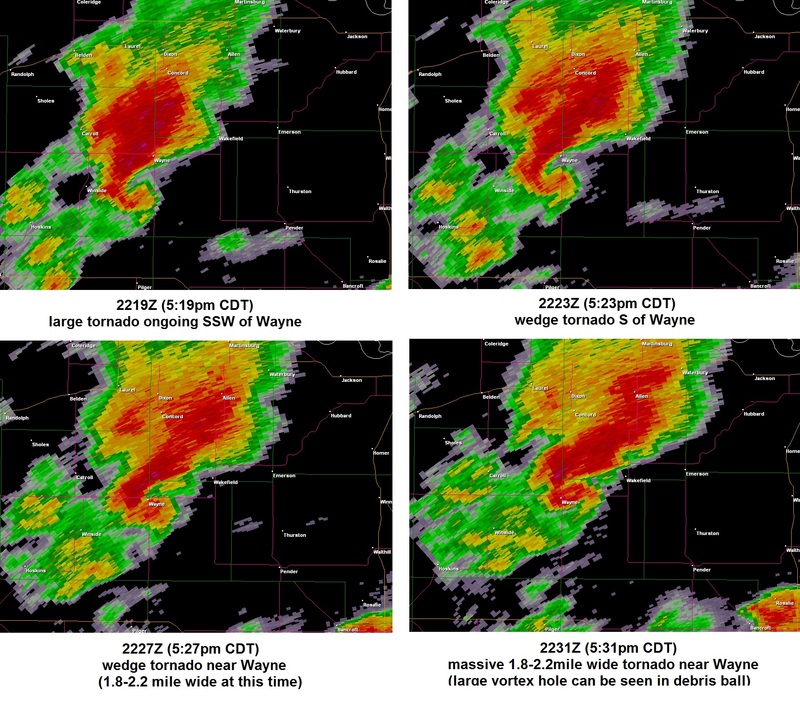 I can only compare what was unfolding before our very eyes to the 2004 Hallam, NE and 2013 El Reno, OK tornado events. 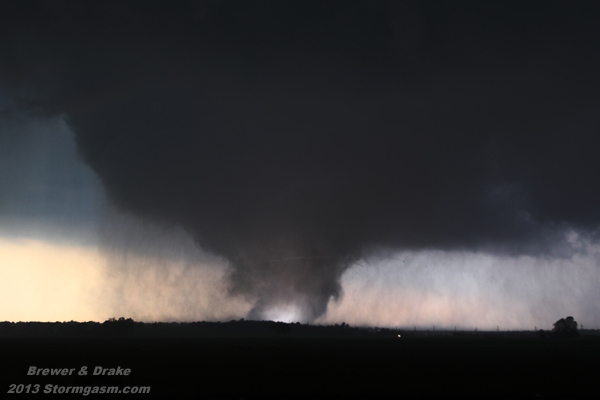 I have to say I was very surprised at what was occurring; we felt the conditions were conducive for several long-track strong to violent tornadoes, but this was on an entirely different level. 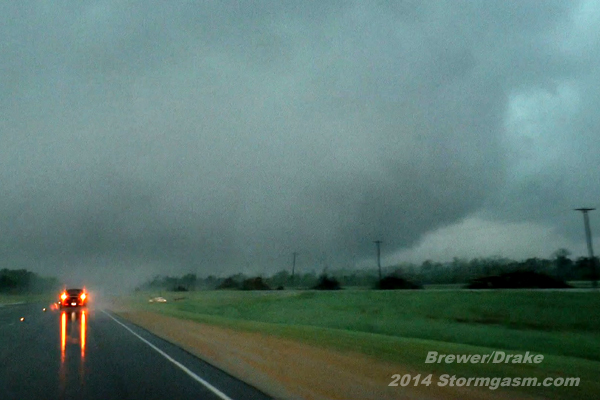 We followed the massive tornado as it tracked north-northeast at nearly 30 mph. 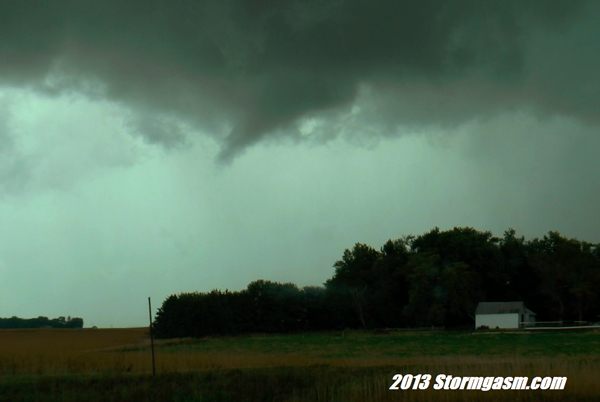 Approximately 2 miles southwest of Wakefield we saw a cone funnel quickly develop along the RFD gust front. 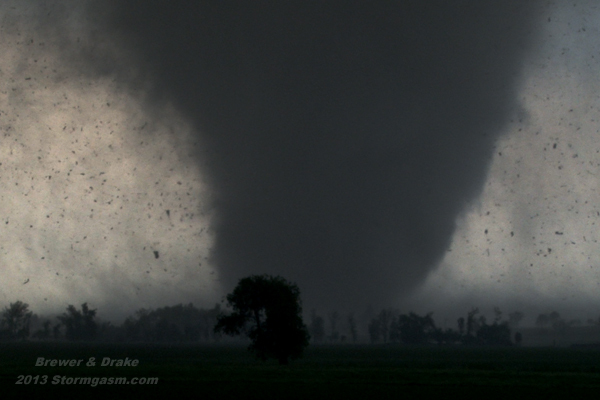 Debris lifted into the air as it passed over a field and we could see it was an anticyclonic tornado (anticyclonic tornadoes rotate clockwise in the Northern Hemisphere). 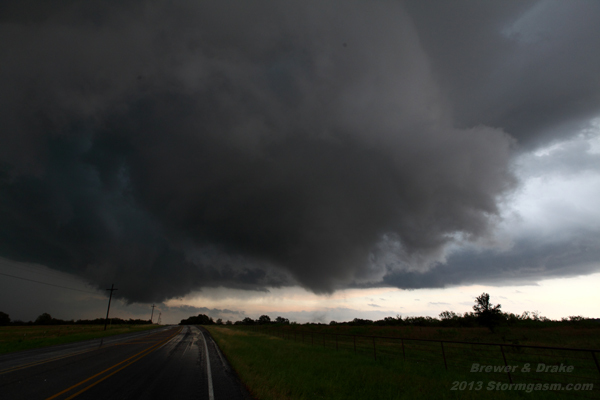 After the anticyclonic tornado dissipated, a new wall cloud developed east of the now rain-wrapped Wayne tornado. We had been steadily losing ground on the storm, so we decided to make a significant reposition to the northeast in an attempt to beat the storm to the Sioux City, IA area. 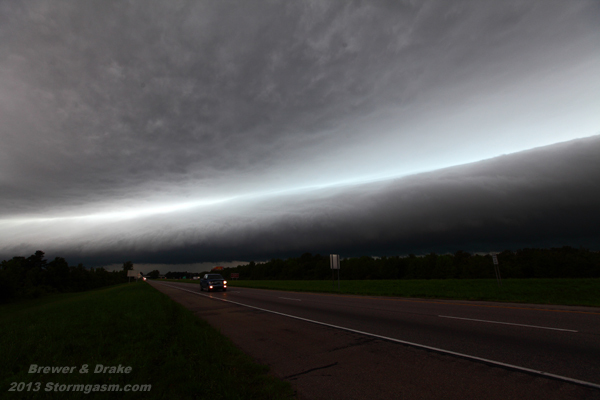 As we approached Sioux City another supercell to our South was rapidly intensifying and would soon cause problems for our storm. 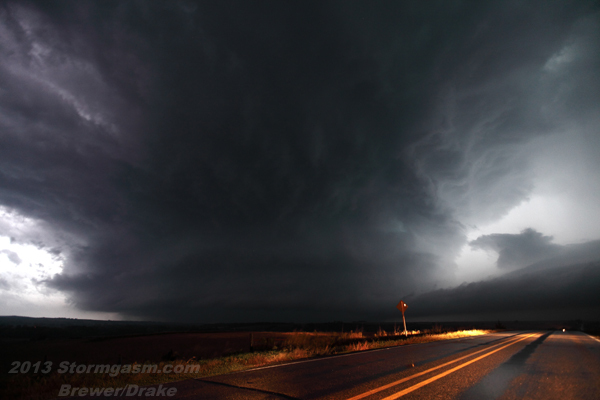 We immediately dropped our storm, even though it was still producing tornadoes, and punched east through the outer fringes of the new tornadic supercell. 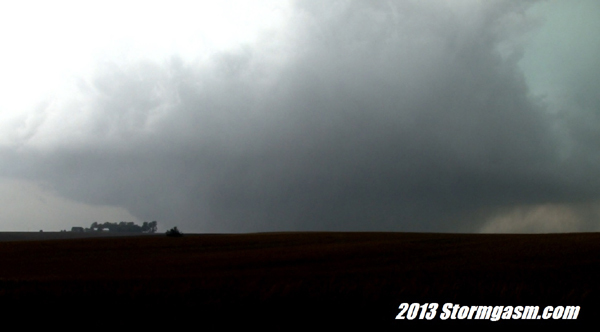 We positioned about 10 miles northeast of the updraft near the town of Quimby, IA. 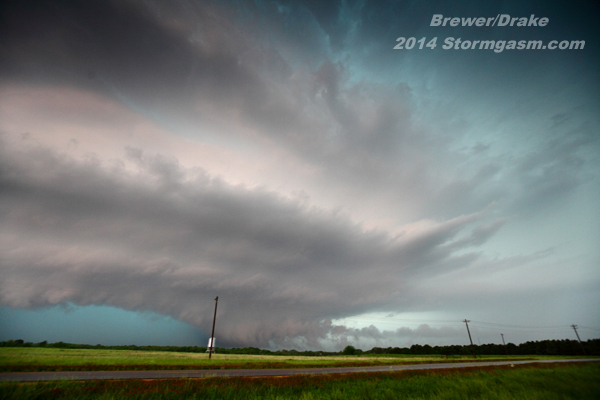 The amazing striated rotating updraft of the Pierson tornadic supercell was bearing down on us. 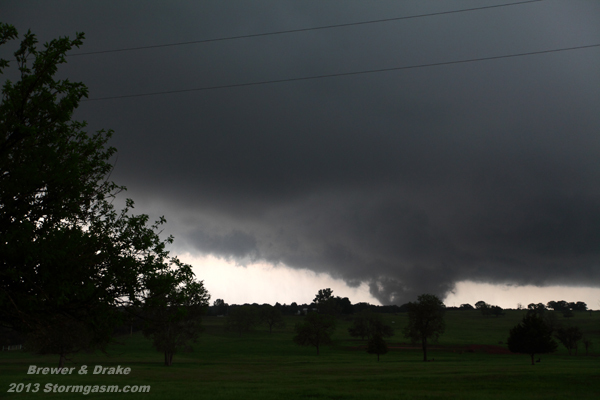 There were reports of a large damaging tornado, but heavy rain under the meso made it impossible for us to see a tornado. 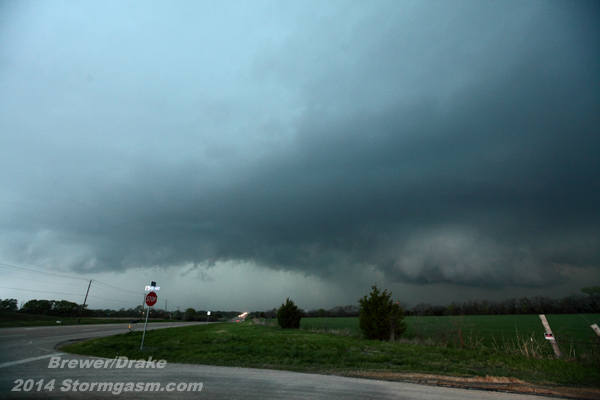 As the supercell quickly approached our location, we drove east of Quimby, letting it pass to our northeast. 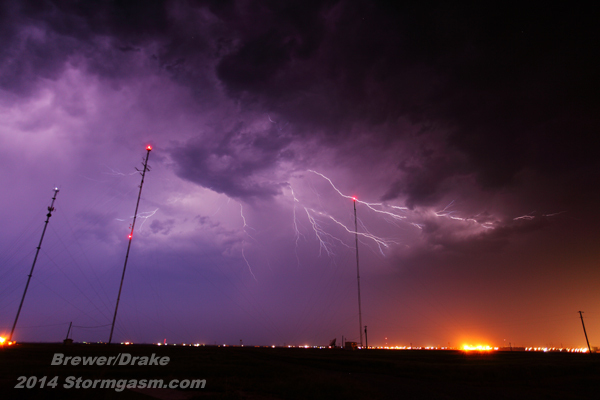 As night fell more storms began to develop to the south. 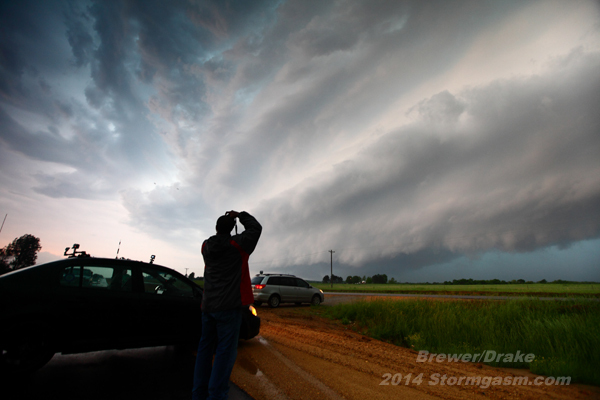 We sat on the south side of Storm Lake, IA and watched the southern-most storm pass to our northwest. 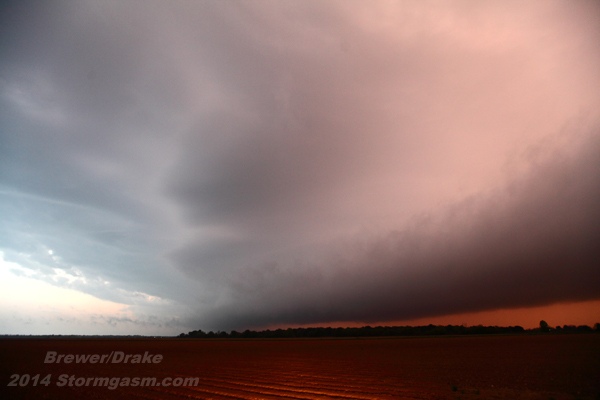 We tried, but failed, to see a possible tornado backlit by lightning as the storm passed. 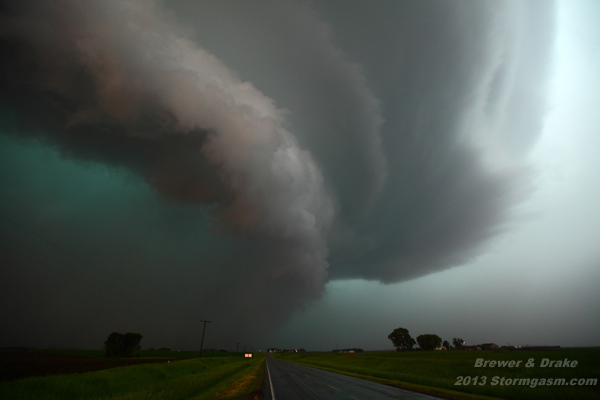 The Sioux Falls NWS Office later found a 5.45 mile long EF1 damage path with this storm northwest of Storm Lake near the town of Alta. This outbreak was significant regardless of the time of year. 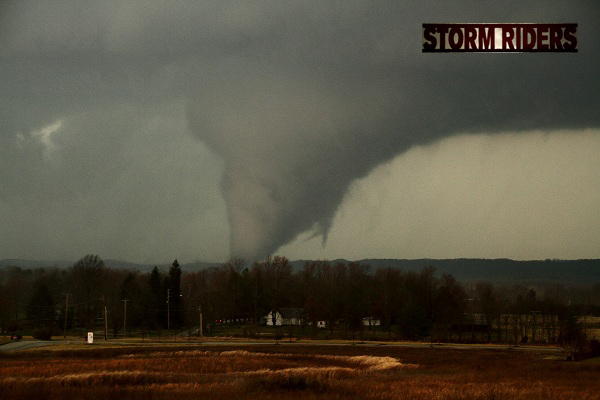 There were 5 significant tornadoes: 3 were long-track, 2 of these caused EF4 damage and were unusually wide–both at or exceeding 1.5 miles at their maximum width. 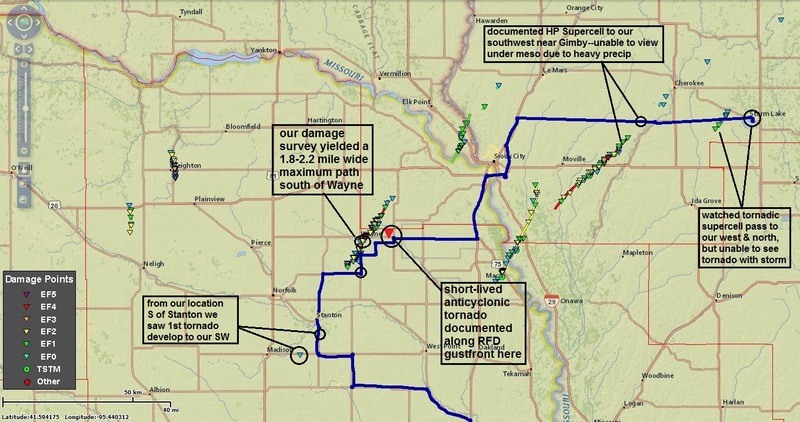 The Omaha/Lincoln NWS Office determined the Wayne, NE tornado had a 19 mile path length, a maximum path width of 1.38 miles (disputed), caused 15 injuries, and caused EF4 damage to an industrial complex on the east side of town. 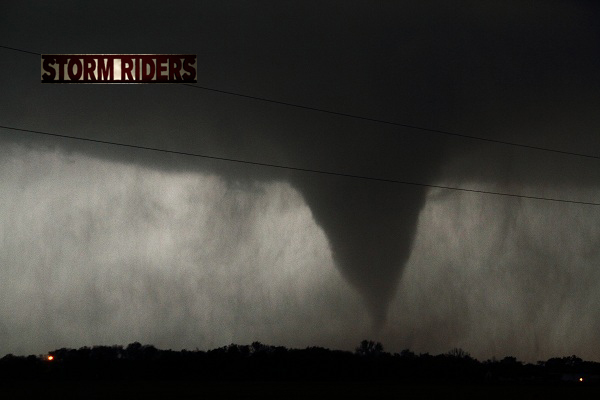 Fortunately, the tornado passed mostly east of town sparing a majority of the population, but it still severely affected many farms. 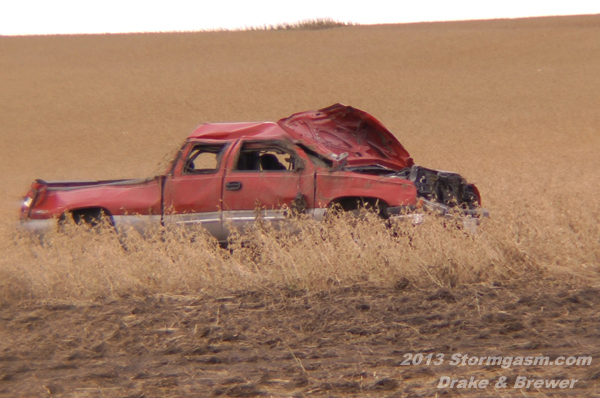 The following morning, October 5th, Juston and I conducted a damage survey south and north of Wayne, NE. 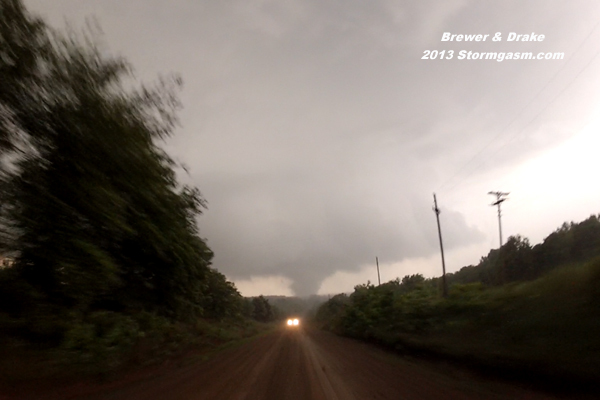 We found the maximum damage path width was between 1.8 to 2.2 miles in diameter near the town of Wayne (exact width is nearly impossible to determine from RFD and inflow damage). 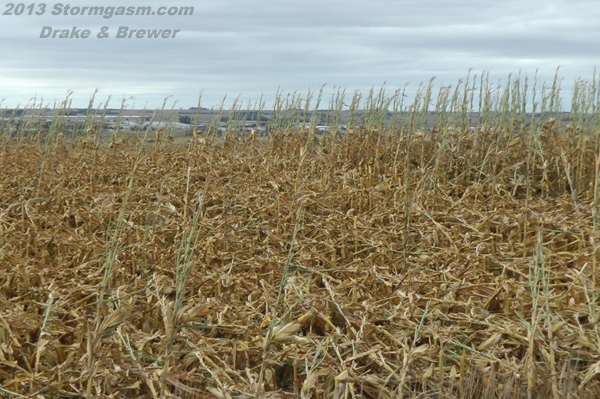 The tornado damage path was wide with smaller more intense areas of damage to crops and structures caused by multiple vorticy suction spots. 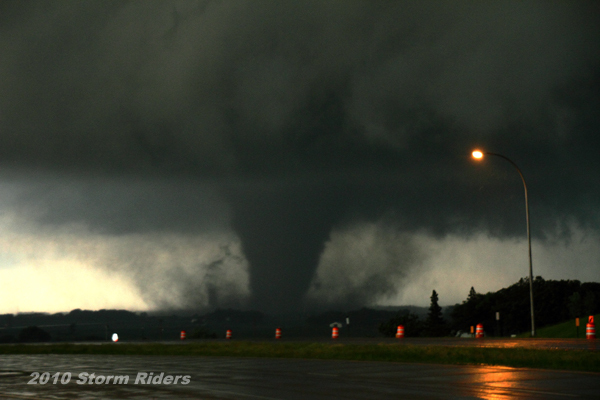 Fall tornadoes are not uncommon, but a significant outbreak like the October 4, 2013 event with several very large and destructive long-track tornadoes is rare. 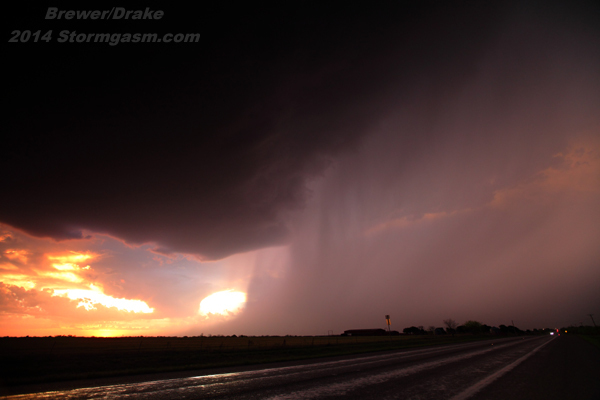 This trough also produced a record setting blizzard over western South Dakota and Wyoming. 58 inches of snow was recorded in Beulah, SD, and a maximum wind gust of 71mph was measured at Ellsworth Air Force Base near Rapid City, SD. Many people lost power during the storm as high winds knocked down trees and utility poles already burdened with the weight of the heavy wet snow. The storm killed significant numbers of livestock as animals became lost and confused in the blowing snow. Some animals suffocated when they were covered by heavy wet snow drifts. 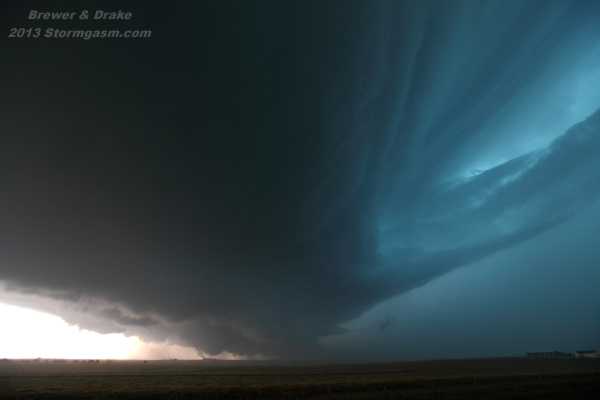 In the early Spring and late Fall, blizzards and tornadoes can happen side by side with a powerful trough. 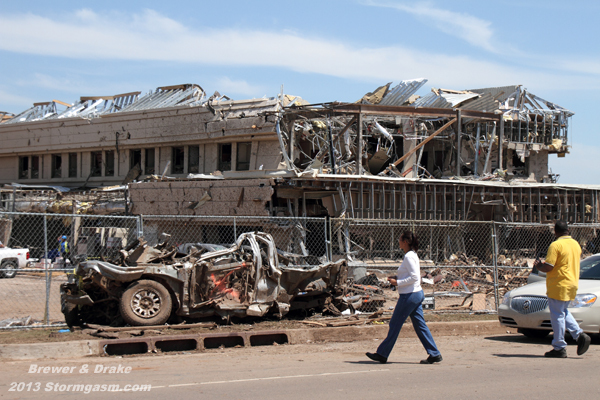 Special thanks to Juston Drake for acquiring data used in this article, and to local fire department and law enforcement employees and volunteers around Wayne, NE for allowing us access to perform a damage survey following the disaster. By Mid-September, most people living in the Mountain West were going to remember 2013 for a continued drought from 2012 and horrific wildfires. But those living along the Colorado Front Range might forget the dry heat and fires. 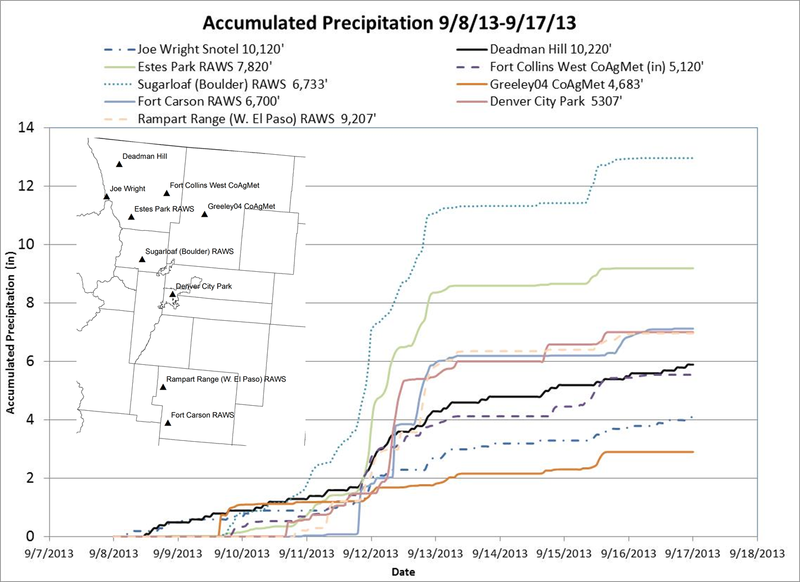 Between September 8th and 10th, rain began falling in many areas over the steep terrain of the Colorado Rockies. But by the 11th, that rain became torrential. By the 15th, many locations had received half a year’s worth of rain; and in some areas the all-time daily and monthly records were shattered. Terrifying flash floods and landslides resulted from the record rainfall all over the Central Rockies. Homes, roads, bridges and lives were swept away, stranding thousands and cutting-off entire communities. Many places were accessible only by air or on foot; rescuers had to hike in or arrive by helicopter. The primary player in this event (the heavy precipitation pattern) could be seen evolving at least a week in advance, if not further. A strong upper-level low over the American Southwest combined with a large ridge over the Eastern U.S. to pump one of the juiciest subtropical airmasses many Coloradans will ever experience. This airmass came up from the Caribbean and into the heart of Rocky Mountains, the virtual rooftop of the Contiguous 48 States. 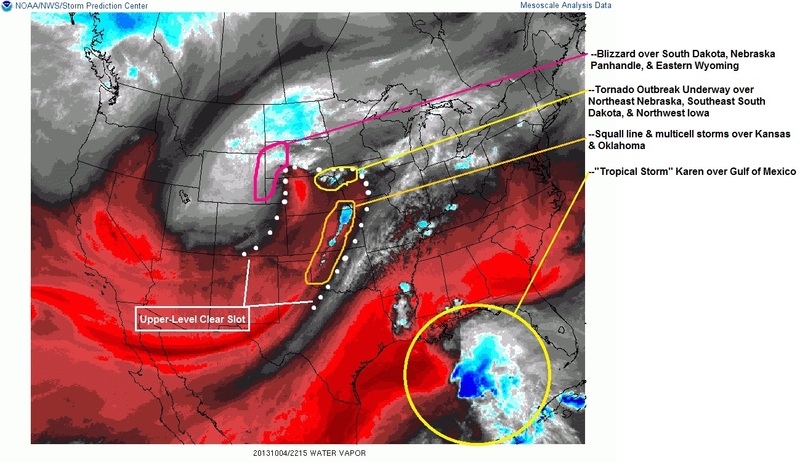 Upslope combined with a stalled cold front created perfect conditions for constant heavy showers and thunderstorms over the Western High Plains deep into the High Country of Colorado, Southern Wyoming, and Northern New Mexico. The pattern was steady and slow to evolve and easy to recognize. Some locations, including the Front Range town of Boulder, were soaked by 10 to 20 inches of rain in only a few days. 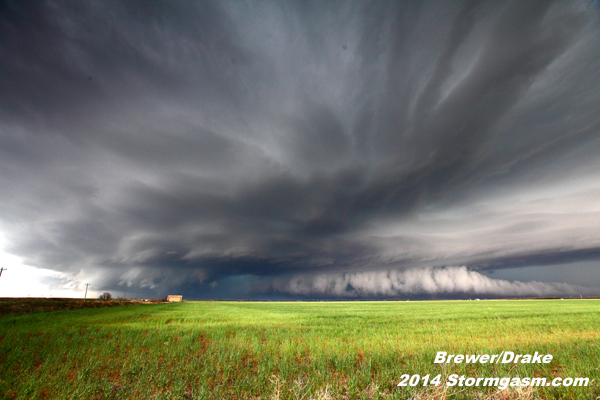 9.08 inches of rain accumulation was measured in Boulder over a 24 hour period–smashing the old record of 4.80 inches. Boulder also broke its all-time monthly rainfall record (17.18 inches) by more than 7 inches and already set a record annual total of 30.14 inches. 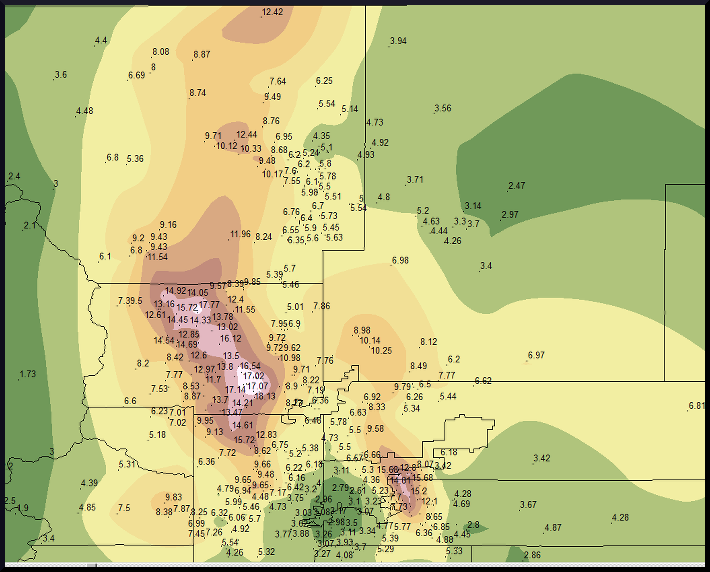 Widespread rainfall totals between 5-20 inches over just several days in any region of the United States will cause terrible flooding, but this was over the Central Rockies of Colorado. The high and rugged mountainous terrain is cut by steep valleys and canyons; the water descends quickly, funnels into narrow passages, rises and moves with tremendous force. As if crazy heavy rainfall over very large mountains wasn’t enough, the prolific drought, which began in Spring of 2012, combined with multiple large and destructive wildfires left many slopes barren, wiping out acres of vegetation. This dramatically increased the threat of mud and rock slides by creating a faster, easier path for water to run off into swollen streams and rivers. The record rainfall over the relatively dry, fire-scarred, and mountainous terrain of Central Colorado was a recipe for disaster. The result was horrific flooding and landslides in the valleys and canyons of the Central Rockies. Meteorologically speaking, it’s quite common to have this type of cause and effect scenario. The record-breaking drought and wildfires paved the way for potential landslides caused by record rainfall totals. This flood was huge: 1 in 1000 year odds for some areas like Boulder, but, despite being so incredibly rare, is there anything to learn from this devastating event? I believe so. Nearly every location on this planet is under threat of excessive precipitation and resulting floods. No place is exempt from flooding when almost 20 inches of rain falls over a period of several days. It’s a terrible tragedy for many affected in Colorado, Wyoming, and New Mexico. Hopefully, they won’t experience another event like this in their lifetimes. Some people may even think twice about living in an area susceptible to 100 year floods, or maybe even 1000 year floods. The people who live in the narrow valleys and canyons in the foothills and mountains have to make a choice… Some will rebuild, but others may not. The beautiful steep-walled canyons of the Colorado Front Range should be a constant reminder of the floods which dug out such amazing geological gashes in the uplifted rock. Valleys are created very slowly over long periods of time, but canyons are literally gouged from the Earth in a violent fashion. These chasms can be extremely dangerous during a flood because of the steep walls. They’re nearly impossible to climb and offer no help when going up is the only way out. The Big Thompson River passing through Big Thompson Canyon was badly affected from this event…and reminiscent of the tragedy that struck there on July 31, 1976. Big Thompson Canyon is very narrow with steep rock walls in many places. Route 34 weaves through this deep gully and often there’s only enough room for the road and river. During storms, water falls on the surrounding hills and mountains, then descends rapidly down steep rocky slopes into the washes and streams feeding the Big Thompson River, and with nowhere else to go the flow becomes a raging flood in the narrow canyon carrying boulders, cars and anything else in its path. The 1976 Big Thompson Canyon Flood is now an infamous case study taught in many meteorologist classes in universities around the country. Driving through this Canyon in July 2013, I couldn’t help but feel slightly uneasy and a little in awe passing between the shear rock walls along a healthly flowing Big Thompson River–knowing this was the site where more than 140 people were killed in the 1976 flood. It kind of surprised me to see numerous buildings perched on slivers of dry ground wedged between the river’s edge and rock walls on my way to Loveland from Estes Park. I’ve seen way too many people rebuild on a flood plain, or on a beach without proper stilts to protect from the wrath of a hurricane’s storm surge, or in the heart of Tornado Alley without a safe room or storm shelter. Can’t really say, “don’t build there”, because no place on this planet is safe from disaster. We can only hope people will remember, learn, and take proper precautions in disaster-prone areas to protect themselves and their loved ones. September 10th marks the climatological peak of the Atlantic Basin Hurricane Season (based on documented tropical cyclones over a 100 year time period). Despite today being the “peak” of the Season there has yet to be a 2013 hurricane in the Atlantic. Currently, Humberto, a strong Tropical Storm west of the Cape Verde Islands, has the best chance of any this Season to make the jump in status, and it’s very possible it will intensify into a hurricane later today. The 2013 Atlantic Hurricane Season has been very slow to this point mostly due to large areas of atmospheric sinking motion inhibiting storm development and creating large regions of dry air evaporating many tropical cyclones. 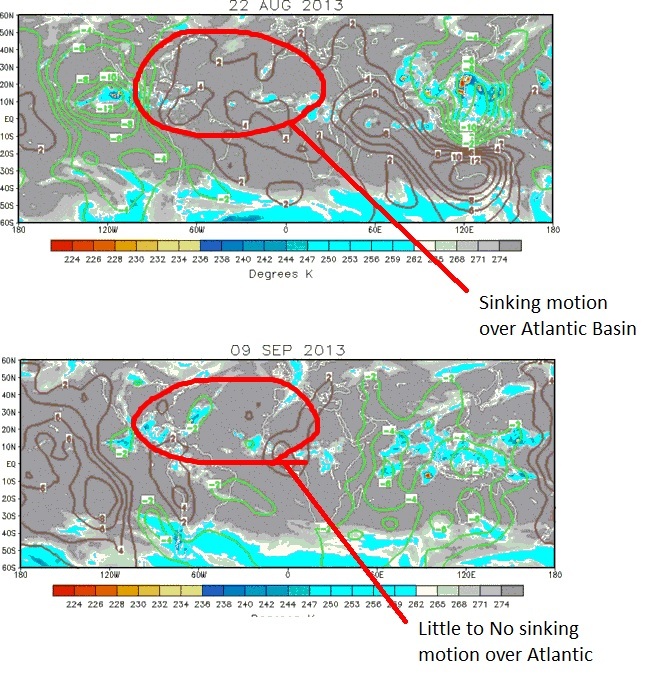 This past week it appears the large-scale sinking motion has subsided over the Atlantic Basin. The atmosphere has responded to the more favorable environment as the Atlantic exploded with activity. For the first time this year two tropical storms, Gabrielle and Humberto, exist simultaneously over the Atlantic. Tropical Storm Gabrielle will most likely become extratropical soon, merge with a trough over the Northeast, and possibly it’s remnants will impact Nova Scotia or Newfoundland. Tropical Storm Humberto might attain weak hurricane status over the next 24 hours and move into the open Central Atlantic. The tropical wave over the western Caribbean is more interesting; storms have intensified over the past several hours and numerical forecast models are forecasting a centralized area of low pressure to develop. If a low does develop it is forecast to move westward or maybe even northwest over the Yucatan Peninsula and then over the very warm waters of the Bay of Campeche. It’s not out of the realm of possibility this wave may develop into a tropical cyclone over the next several days with a very slim chance of impacting northeast Mexico or South Texas. At this time it’s too early to say whether the United States will be directly impacted by a hurricane this year, but it does appear the 2013 Season is becoming more active. The National Hurricane Center upgraded Humberto to a minimal Category 1 Hurricane at 5 AM AST on September 11, 2013. 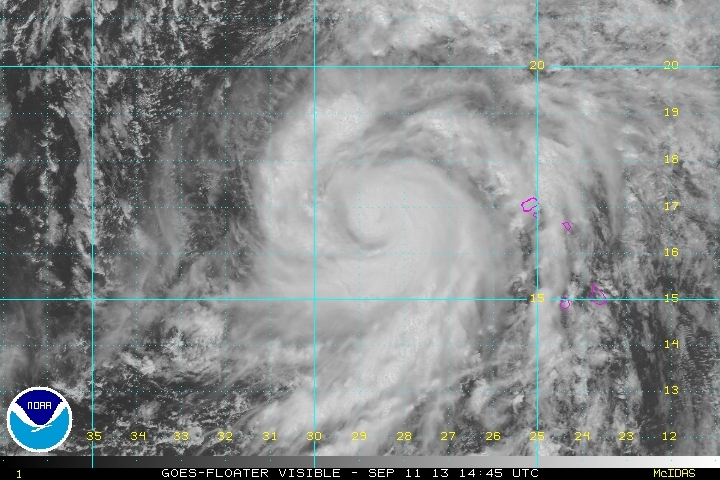 This makes Humberto the 2nd latest 1st hurricane of the Atlantic Season to form since the beginning of the satellite era. Fortunately for many along the Atlantic Coastline the 2013 Hurricane Season has been relatively slow. As of August 28th there have been 6 Named Storms in the Atlantic Basin. All have been Tropical Storms, weak and questionable tropical storms. 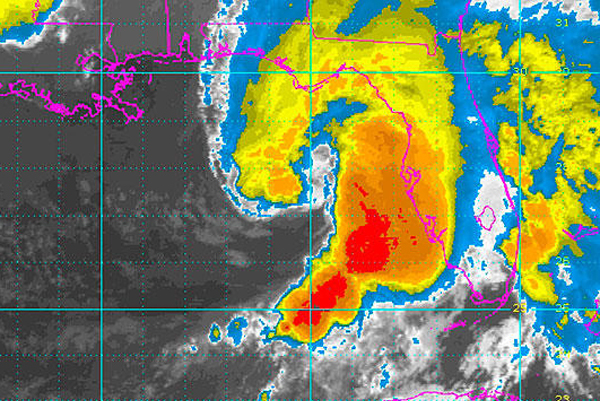 Andrea was arguably a weak “subtropical storm”, probably not a true tropical storm. Juston and I chased Andrea as it passed over Florida and Georgia in June and found it difficult to find a breeze in the core rain bands as the storm came onshore. 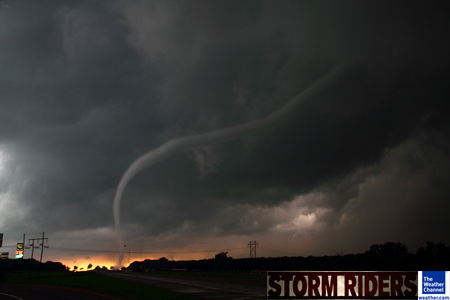 We documented a tornado from a supercell in a band moving over Southeast Georgia far from the core of the system, but from our observations and analysis of the available data it appeared Andrea was most likely subtropical. Barry, Chantal, and Dorian were barely tropical depressions and it would be easy to argue whether they reached Tropical Storm strength. 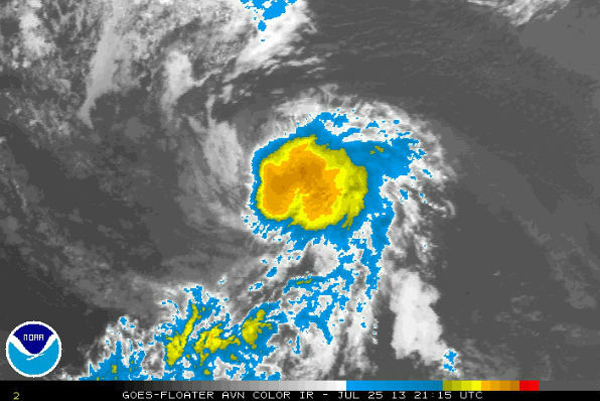 Erin and Dorian briefly had more robust appearances on satellite, but only enough to maybe estimate them to have briefly attained minimum tropical storm status. 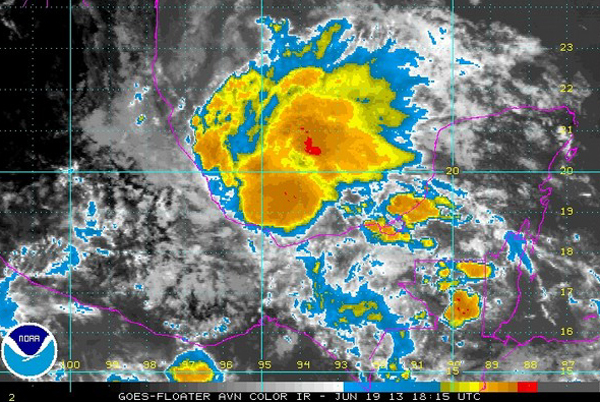 Fernand developed quickly from a cluster of thunderstorms in the Bay of Campeche, but it’s difficult to say whether it was able to intensify into a tropical storm before it moved over the Mexican Coast. With exception of Andrea (most likely subtropical) all the 2013 Named Storms were barely on the threshold of Tropical Storm status and perished quickly due to high wind shear, dry air, land, or all three. So far the Atlantic Basin has remained mostly unfavorable for the development of Tropical Cyclones. Large areas of high wind shear has ripped apart many possible tropical systems this summer. A Tropical Cyclone is vertically stacked, meaning the system is very similar from the surface to thousands of feet up into the mid-levels of the atmosphere. 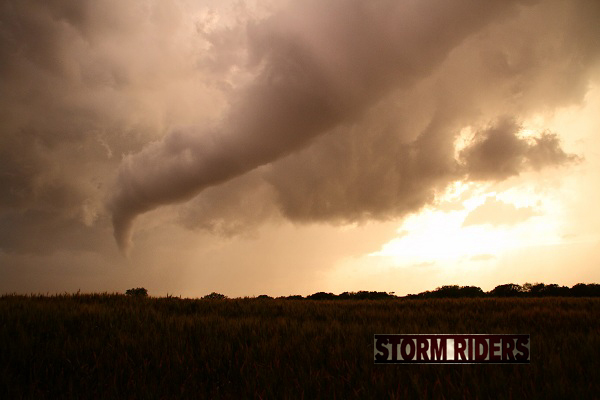 Wind shear can offset the vertical balance of a tropical cyclone causing it to weaken or dissipate. Large swaths of deep dry air masses have been evaporating storms. 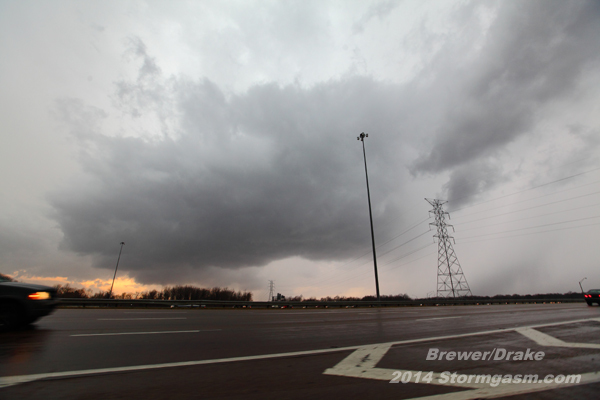 Individual storm updrafts need moisture and heat to strengthen and propagate. Tropical cyclones are comprised of a vast amount of individual storm updrafts generating an incredible amount of heat (from latent heat release as water vapor condenses into cloud water droplets in storm updrafts). 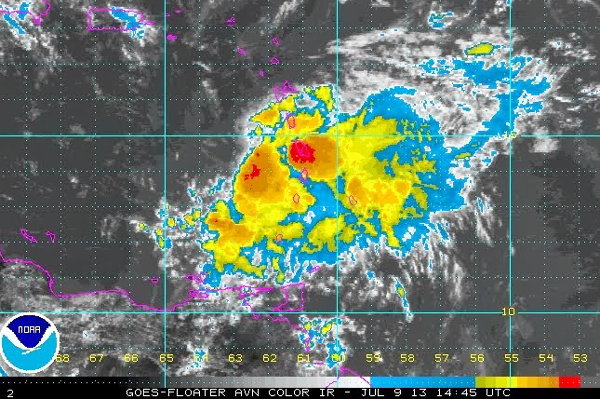 This heat generates the low pressure at the center of a tropical cyclone. Large quantities of dry air can evaporate storm updrafts, which causes evaporational cooling as cloud droplets become water vapor again. 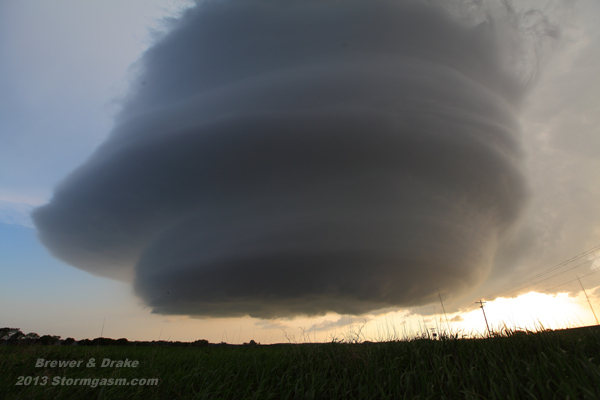 This cooling combined with the loss of storm updrafts can weaken or kill a tropical cyclone. Large-scale global sinking motion affecting the Atlantic Basin has created dry air masses, and large dry dust storms blowing off of Western Saharan Africa has, also, contributed to the dry Atlantic air. The 2013 Atlantic Hurricane Season is still young and the sea surface temperatures are very warm. Plenty of time and energy to generate an active Hurricane Season and it only takes one strong cyclone making landfall to cause a major disaster. People living along the Atlantic Coast should to utilize these “quiet days” to prepare, create or revisit a hurricane disaster plan. Currently in Hurricane Season mode, but the Atlantic Basin is quiet. 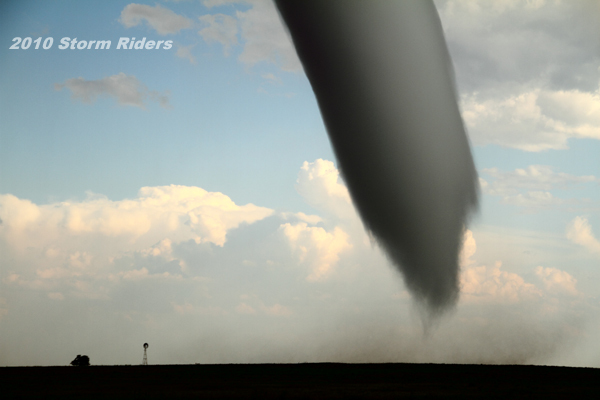 Below I’ve posted possibly the top ten best photographs Juston Drake and I shot during the filming of the Television Series “Storm Riders” on The Weather Channel. I say “possibly” because there are so many great photographs it’s very hard to chose the best. 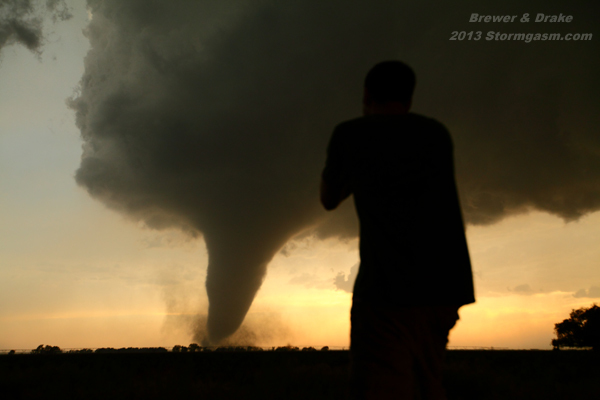 The selection process involved many types of photos, but that was becoming too difficult, so narrowed it down to just tornadoes to make the process easier. 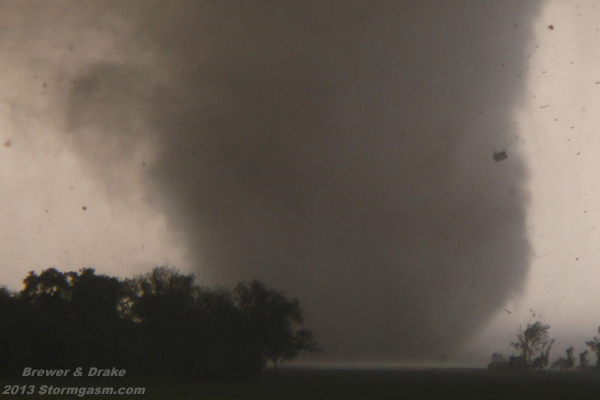 The Campo CO tornado was the only tornado to appear twice, because this tornado was so photogenic and had so many different amazing shots. 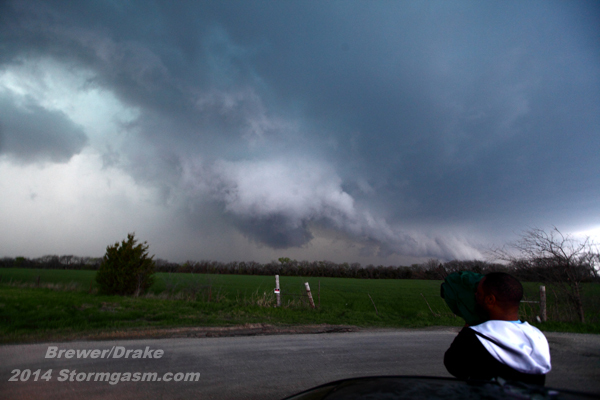 On May 14th I posted several images representing our (Juston Drake and I) Spring 2013 chases up till that day. 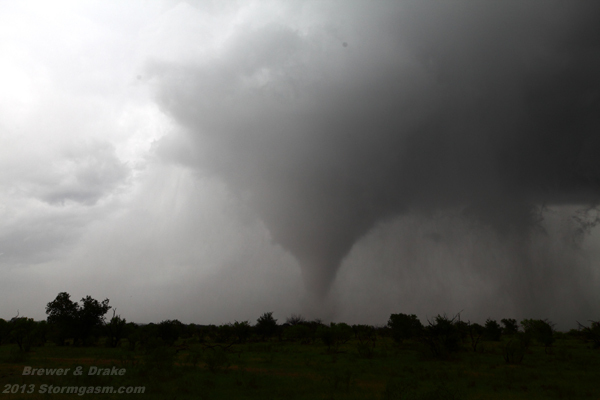 The following day, May 15th, we documented a large tornado East of Ringold, TX. 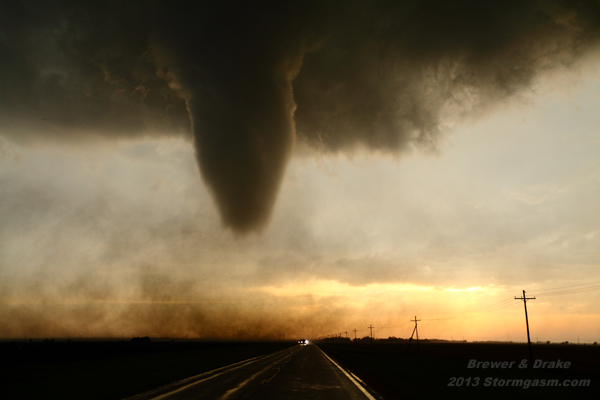 The period of significant severe weather activity over the Great Plains the following two weeks, May 15-31, surpassed all other days from the Spring of 2013 combined. 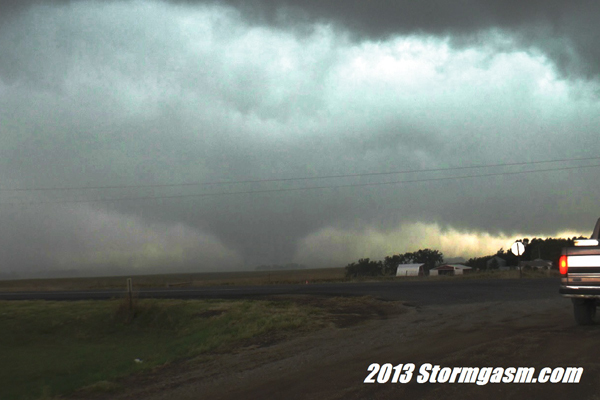 Several substantial tornadoes developed on May 18 near Rozel, KS including a tornado rated EF4 by mobile radar data. 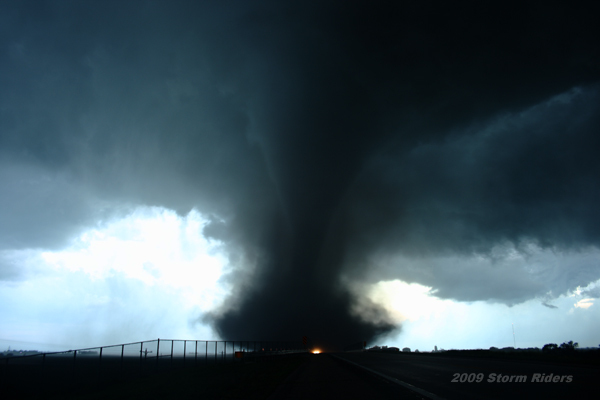 An outbreak occurred over Central Oklahoma on May 19, which included two violent tornadoes affecting the towns of Carney and Shawnee. 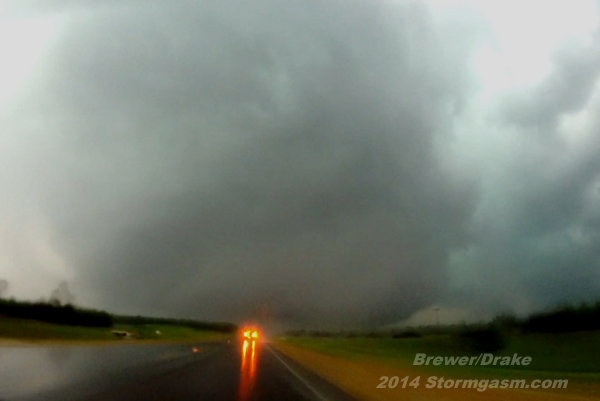 The following day we documented a violent and deadly tornado with damage rated EF5 over Moore, OK. 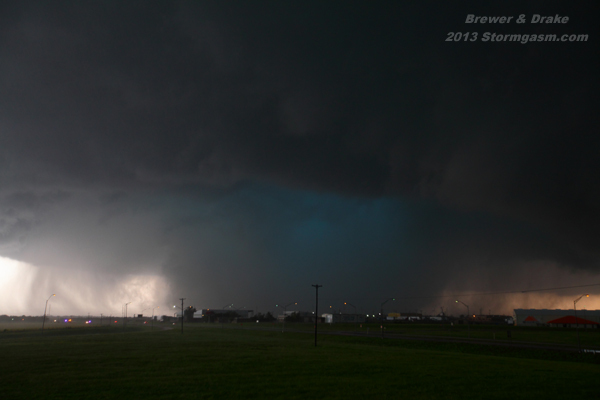 The following week continued to be very active with several significant severe weather and tornado days topped by possibly the most intense tornado ever documented near El Reno, OK on May 31st, which tragically took the lives of several storm chasers and other victims. 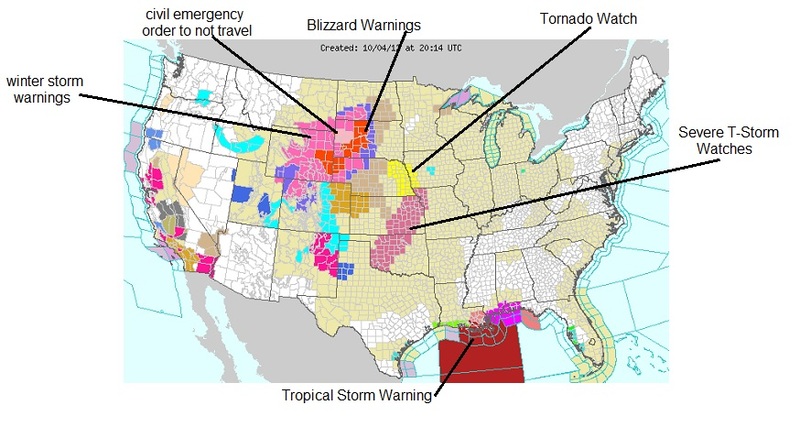 The large-scale global pattern during the early-mid Spring of 2013 was not conducive for severe weather. However, a powerful MJO wave developed over the Indian Ocean during the first two weeks of May and propagated eastward, which significantly changed the pattern over North America. 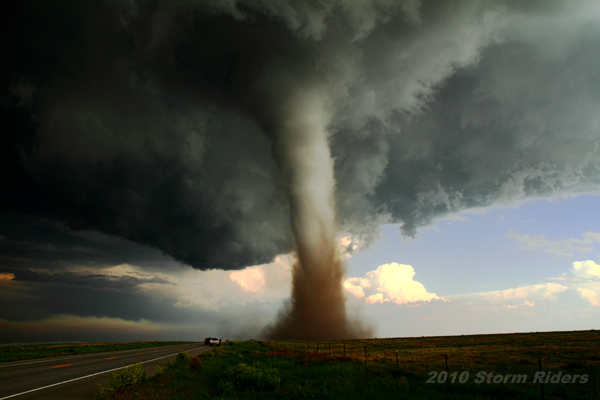 A long-term drought over the Southwest United States provided a substantial temperature inversion, which played a significant role in several strong tornado days. 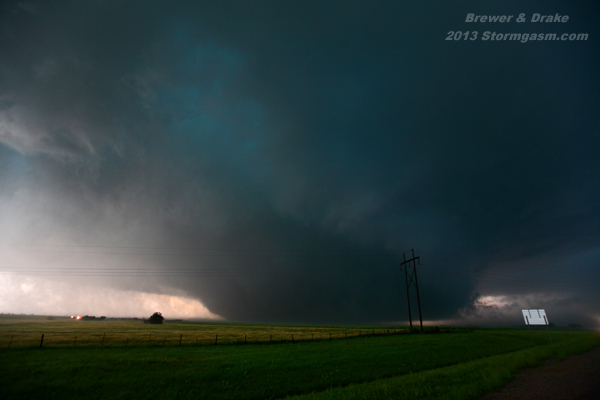 The significant temperature inversion (CAP) present near 700mb on May 18, 19, 20, 28, and 31 combined with very deep moisture, relatively cool upper-level temperatures and strong deep-layer shear provided environments for powerful tornadoes. 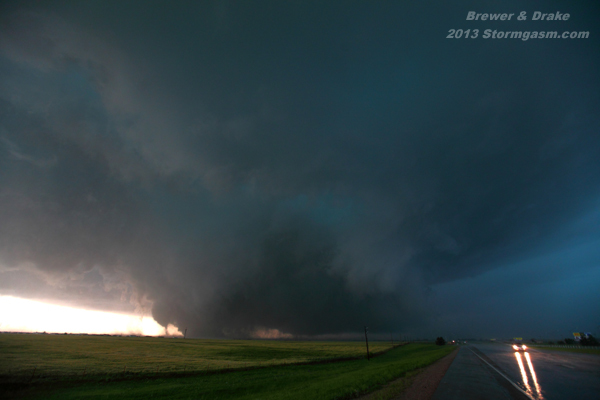 The environments, which developed on May 19th and 31st were especially volatile and conducive for powerful violent tornadoes with near-storm estimated effective-layer EHI’s approximately 12-18 and 18-23 respectively (values calculated by Juston Drake and Simon Brewer). 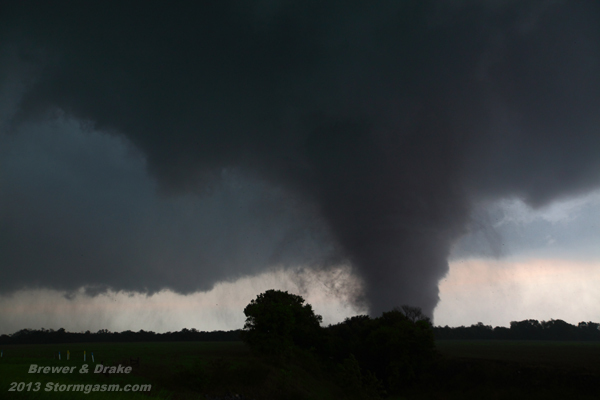 Had the Shawnee or the El Reno tornadoes moved over heavily populated neighborhoods catastrophic damage would have likely resulted. 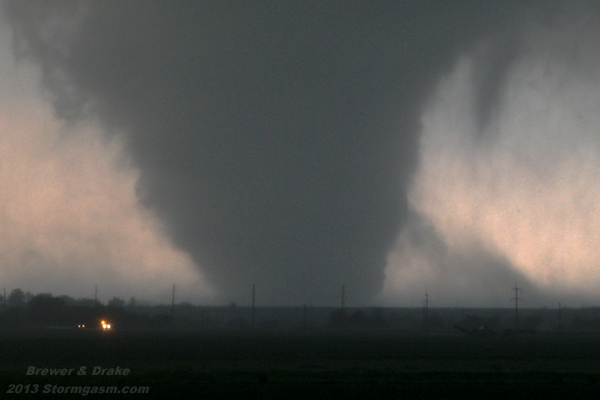 Luckily these two tornadoes passed over relatively less populated areas, which minimized their impact.